BuZZO and Excite talk about Mindfreak’s open bracket run, APAC Call of Duty, and more. It may be early in the land down under, but Australian fans will be pleased to wake up to the news that Mindfreak has qualified for pool play at CWL Atlanta. Highly regarded as the best team in the APAC region, the Mindfreak roster, consisting of Mitchell “BuZZO” Mader, Cody “Excite” Rugolo, Conrad “Shockz” Rymarek and Lincoln “Fighta” Ferguson, came into this event to try and make a name for themselves on an international stage. Looking at their run through the open bracket, BuZZo thought that all of their matches were tough. On the other hand, Excite was quick to mention that their match against Epsilon, the qualification match, was their most difficult series at this event so far. Epsilon’s current roster, formerly known as FAB Esports during Black Ops III, jumped out to a commanding lead by crushing Mindfreak on game one Breakout Hardpoint. “Breakout is our worst map, so we thought if we lose this, we still have two more maps,” Excite said. Excite’s mindset paid off, as Mindfreak won the next two maps in order to qualify for pool play in Atlanta. However, BuZZO was having flashbacks to last year’s Call of Duty Championship, where FAB crushed them in group play. Mindfreak will now compete in Group A, which was considered by many to be the “Group of Death” entering this weekend. But, BuZZO and company are just looking forward to their matches, no matter who they play against. Nevertheless, Mindfreak is in a good position to make it out of pool play, if they can win some tough matches against the likes of FaZe Clan, Rise Nation, Team Infused or Enigma6. But, at the end of day, BuZZO said that his team is here to earn more pro points. Looking outside of the specific games today, Excite said that his team definitely is motivated to travel to North America and face off against all of the best teams in the world. BuZZO also chimed in, saying that he believes the upcoming CWL LAN League could be a huge opportunity for his team. Continuing on that train of thought about worldwide competition, BuZZO thinks that North American teams are at an advantage in terms of the high quality of practice readily available to them. With several strong teams in NA compared to APAC, BuZZO definitely makes a point that it’s much easier for NA teams to consistently practice against other extremely tough opponents. At the end of the day, BuZZO and the rest of Mindfreak are just trying to do their best to show the international competition that they are here to stay. 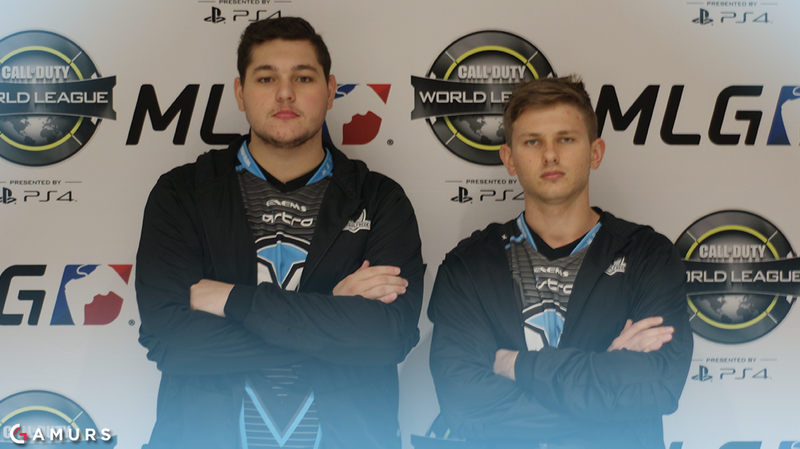 Mindfreak has definitely proven that they are the top team from the APAC region, and they will continue to battle against the best teams in the world throughout the rest of this weekend at CWL Atlanta. What are your thoughts on Mindfreak’s performance so far this weekend? Let us know by tweeting us @GAMURScom.